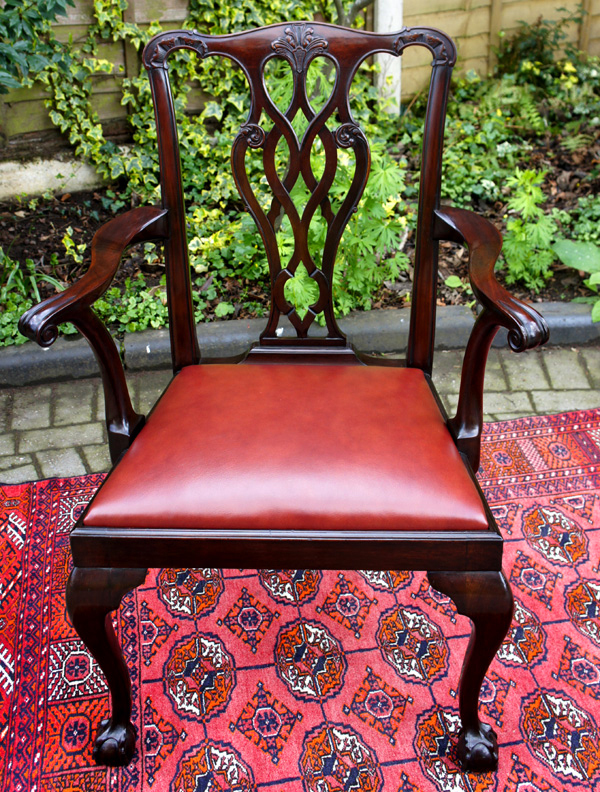 This good quality late Victorian mahogany open armchair is in the Chippendale style of the late 18th century. 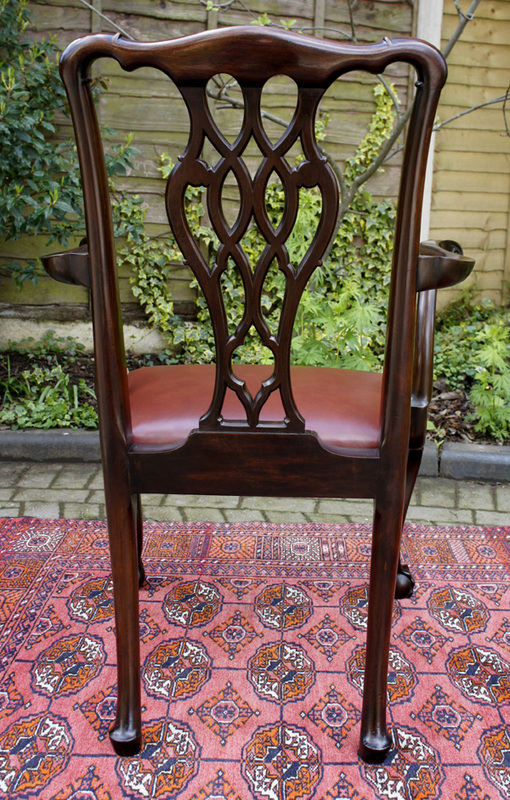 The chair has a beautiful carved and latticed back with a yoke shaped top rail with carved shoulders and swept arms, terminating in bold scrolls. with carved shoulders and swept arms, terminating in bold scrolls. 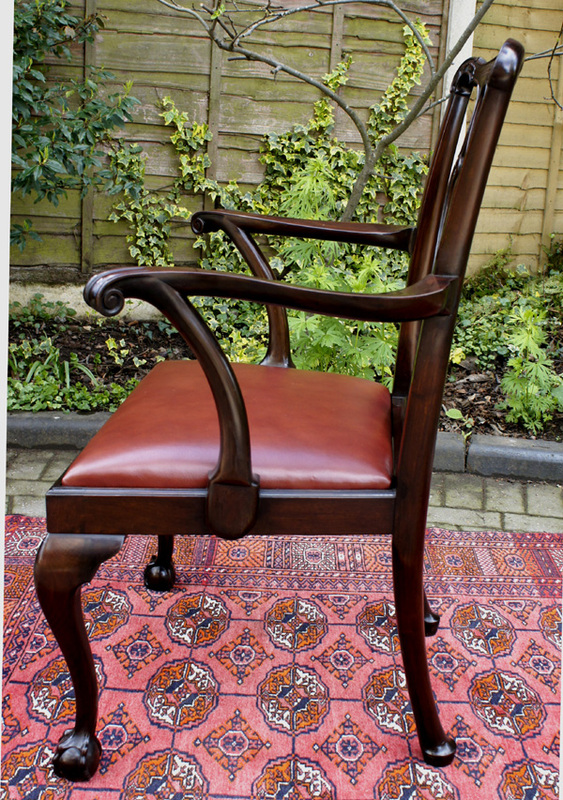 The padded drop in seat has recently been upholstered in chestnut hide. 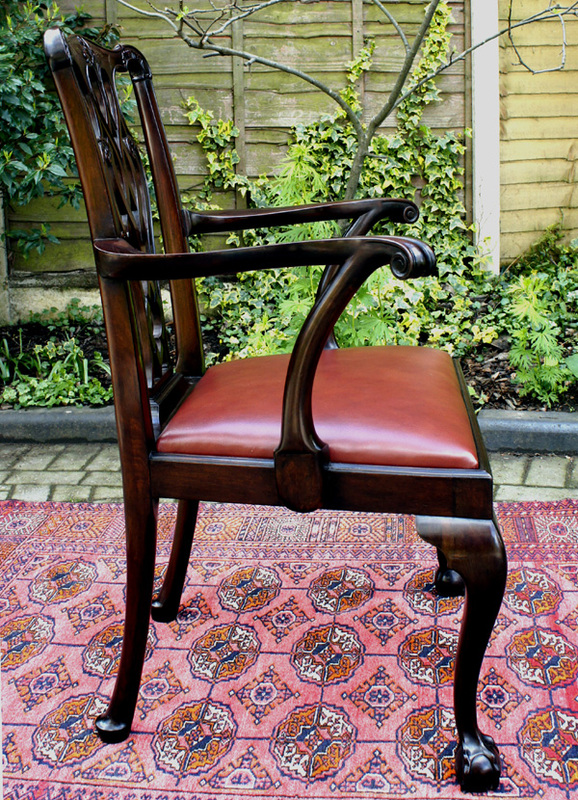 The chair stands on cabriole front legs and 'swept back' back legs with padded feet. and has benefitted from professional cleaning and waxing. with an antique desk or an occasional chair.